We came across an Olloclip lens a couple of years ago and we were amazed at the difference that a single detachable lens could produce via the iPhone’s camera. So, when this came out, we were obviously excited to share it with you. Presenting the Olloclip Studio for iPhone 6 Plus and iPhone 6S Plus. The Olloclip Studio was designed to make your mundane smartphone camera into a fully functional professional level camera. The cover and two finger grip allows for extremely stable photos and videos. 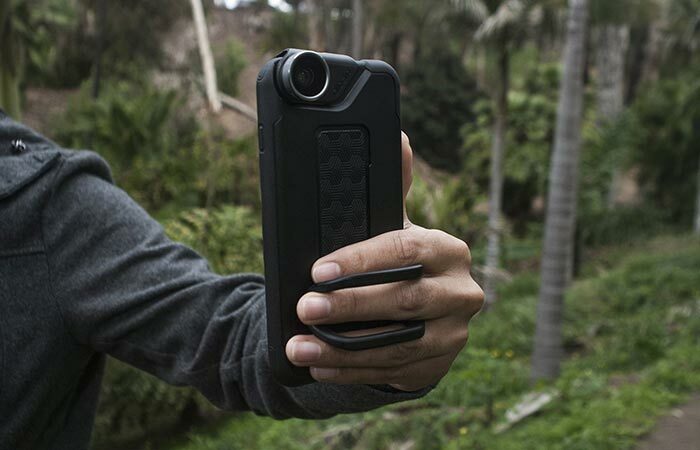 The Olloclip Studio comes with its own specialized cover that gives you a versatile and ingenious two finger grip. This allows for greatly enhanced stability while taking photos or videos and works perfectly with broadcasting apps. It also allows you to easily switch between portrait and landscape modes. Check out the Olloclip Studio intro video below. 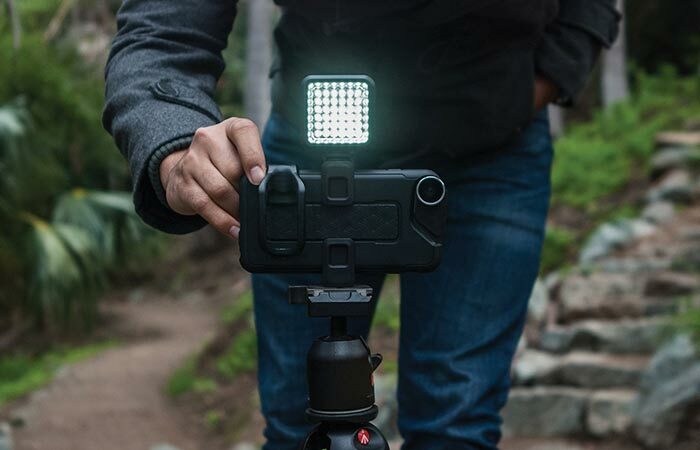 The cover also has clips that allow your mobile phone to be attached to a tripod, grip or handles, and it also includes mounts for both portrait and landscape modes. The cover also allows you to attach various different accessories as well as mount your phone on a tripod. Both landscape and portrait modes are supported. You’ll also be pleased to find out that you can attach lightweight accessories such as a microphone or light via the cold shoe adapters. The shoe was also designed to offset the center of gravity so that it stays perfectly balanced even with multiple attachments. 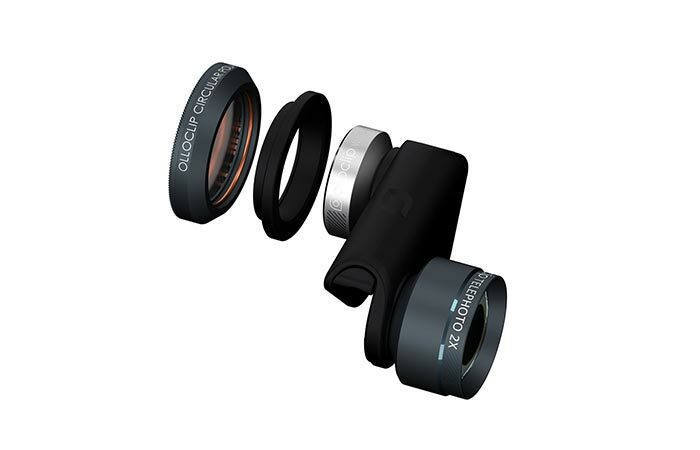 The Olloclip Studio also comes with 10 Macro lenses, a wide-angle lens and 2 optical magnification lenses that are all easily and quickly interchangeable. The Studio also comes complete with 2 optical magnification lenses that allow for magnification without picture quality degradation and 10 Macro lenses for different shooting styles and, of course, the much loved wide-angle lens to catch all those breathtaking scenes.